Maui Electric Co. is seeking approval to install three used diesel power generators temporarily for times of peak power use and to make up for reserve capacity that will be lost when Hawaiian Commercial & Sugar Co. closes its sugar plantation and unplugs its Puunene Mill as a source of backup electricity for Maui’s power grid. According to a MECO application filed Tuesday with the state Public Utilities Commission, HC&S’ pending closure late this year and the ending of its purchase power agreement with the utility will reduce the island’s reserve power capacity. Now, the burning of bagasse, coal and oil at the Puunene Mill provides up to 4 megawatts of “firm” power and an additional 12 megawatts of emergency power, according to the utility. “With this reduction to the system, the company is in need of additional firm generation sooner than anticipated to maintain reliability as customer demand increases,” MECO’s filing says. The highest reserve capacity shortfall is expected in April and May of next year, when MECO’s largest power generators at Maalaea are taken offline for scheduled maintenance. Earlier this year, the PUC approved MECO’s request to build a new, $13 million substation in a sugar cane field adjacent to the intersection of Kuihelani Highway and Maui Lani Parkway. Construction is targeted for completion as early as June. The diesel generators would be installed at the same time and location as the Kuihelani substation. MECO already has identified a 4-megawatt shortfall of power generation capacity as of April, as well as additional, ongoing near-term reserve capacity shortfalls for 2018 to 2022. The three temporary generators would burn “ultra-low sulfur diesel” – with each rated at being able to deliver 1.65 megawatts, for a total of 4.95 megawatts of firm power generation for the utility’s reserve-capacity use, according to the filing. The generators are expected to operate only during peak-load hours, typically between 5 and 9 p.m., according to the utility. The power-generation units are expected to be removed and sold for nearly $1.7 million after about five years when the reserve capacity shortfall is anticipated to be eliminated by the installation of new firm power generation. * Repurposing the company’s existing battery energy storage system. * Relying on as-available wind resources. * Pursuing company- or customer-owned, utility-dispatched distributed generation projects. * Requesting voluntary customer power cutbacks. * Accelerating the installation of the next firm generating unit or energy storage systems. * Expanding the company’s fast-demand-response program from 0.2 megawatts to 5 megawatts. So far, MECO has four customers in the fast-demand-response program, which helps the utility maintain a stable power grid and prevent unplanned outages. MECO is seeking PUC approval to expand the program. When the PUC approved the Kuihelani substation project, state regulators conceded that the substation would be needed as early as June of next year, but they reminded MECO officials that they need to do a better job of planning for a transition to renewable energy. The commission has established a blueprint for Hawaiian Electric companies to move out of the power-generation business and toward managing and dispatching electricity from dispersed independent operators and from consumers, including those with rooftop solar panels. In early January, HC&S’ parent company Alexander & Baldwin announced the closure of Hawaii’s last sugar plantation at the end of this year. Layoffs have been coming in waves, but the closure will result in lost jobs for more than 600 workers. The company has that said it plans to turn to diversified agriculture, including bioenergy crops and cattle grazing, for some of its 36,000 acres in Central Maui. WAILUKU – The Maui County Council Budget and Finance Committee recommended passage of a resolution Tuesday that would allow the county to move forward with its proposal to buy about 4 acres in Alexander & Baldwin’s Maui Business Park II in Kahului. The deal also involves a 30-acre land donation in Paia for the county to expand Baldwin Beach Park along the north shore. The Maui Business Park II space is one of three proposals the council has been mulling over since April in efforts to find a new service center location. County officials have said that the Division of Motor Vehicles and Licensing, the Real Property Tax Division and the Treasury Collections offices, currently housed at the Maui Mall, need to be moved because the new owners of the mall envision commercial uses for the space. Mayor Alan Arakawa also has said that there is better value for the county if it builds its own center because the county pays more than $475,000 annually in rent for the Maui Mall space. Other testifiers expressed support for the purchase, and the attached 30-acre land donation in Paia. But Council Member Riki Hokama expressed concern with tying the purchase of 4 acres in the Maui Business Park with the 30-acre land donation. He was the only council member who voted against advancing the resolution to the full council. “While I agree with you that this deal has merits . . . I would prefer the gift be separated out. For me, I don’t like the taste that gives me . . . that the county can be bought,” Hokama said. 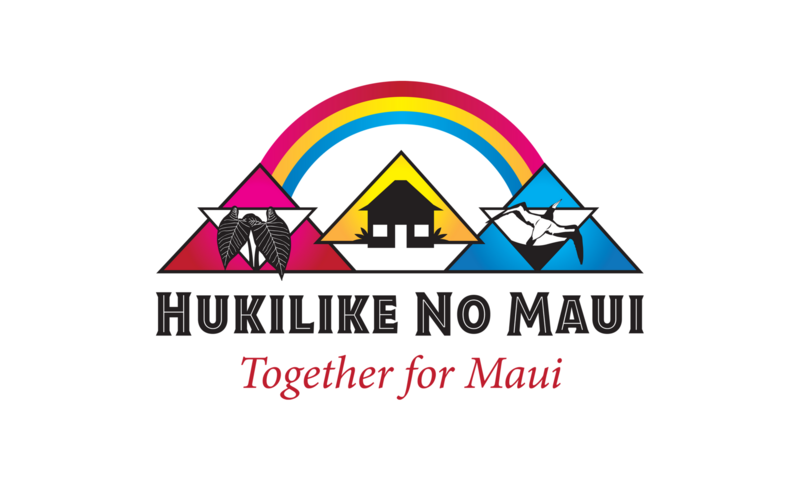 But separating the land donation from the 4-acre purchase is a proposal that has not yet been fully vetted, and White said, in response to Hokama’s comments, that “life isn’t always that easy to separate into clear issues. “This is a situation where acquisition and construction will allow us to offset ongoing costs, and I think that’s the only reason we’re looking at moving forward, because we’re in a position to create such a structure that will allow us to save money,” White said. Advancing the proposal does not mean the council would stop considering the other proposals “in due course,” White said. * 3 acres in the Maui Lani Village Center for approximately $14 million that would include “turn-key” construction of a 24,000-square-foot two-story building. The cost includes $5.3 million for the land; $8.1 million for construction of the building, and $600,000 for architectural and engineering costs. * 5 acres for $6.6 million at the Kehalani Village Center in Wailuku. Landowner RCFC Kehalani would donate a nearby 14-acre parcel at the corner of Waiale Road and Kuikahi Drive. Arakawa had said in a committee meeting Aug. 1 that he would like the county to purchase both the A&B Maui Business Park II and the Kehalani Village Center site packages, though if he had to choose just one, it would be the A&B property in Kahului. In other action Tuesday, the committee recommended passage of a measure to advance Haiku Community Association $75,000, or half of its total $150,000 grant, up front for needed repairs to Kalakupua playground at Giggle Hill in Haiku. While the county typically grants only 25 percent of grant money in advance to project implementation – with the rest to be paid in reimbursements – the association has said it could not afford fronting the money for the repairs. “We are a small community association. We’re not a for-profit business,” said Netra Halperin, who serves as co-chairwoman of the association’s playground committee. While volunteers have managed to fundraise $26,000 for the project, the biggest hurdle is the playground’s footing, or ground surfacing, which is slated to cost about $60,000. Council members agreed to advance 50 percent of the grant as a compromise, saying that as long as the association provided its receipts, reimbursements would be expedited. “I think 50 percent is a great compromise, because at least they’ll have money to do what they need to do. If they get their receipts in, we’ll provide their reimbursements ASAP,” said Council Chairwoman Gladys Baisa. Council Member Mike Victorino rallied for the cause. The playground was closed two years ago for safety reasons. Alexander & Baldwin will close a $40 million, 24-acre Kahului land sale today to make way for the development of national retailer Target, A&B Chairman and Chief Executive Officer Stan Kuriyama said Thursday while announcing the company’s third-quarter operating and financial results. The land sale amounts to $1.65 million an acre, he said, noting that it follows a September sale of 209 acres in Waikapu, at $25,000 an acre, to Maui County for its Central Maui regional park complex. “Most of the proceeds from these two sales will also be reinvested in the acquisition of the Pearl Highlands Center,” Kuriyama said. The closing of the sale on Oahu was in September. The Pearl Highlands Center purchase made A&B Hawaii’s second-largest owner of retail properties in the state, he said. The largest is General Growth Properties, which owns Whalers Village in Kaanapali and Ala Moana Center on Oahu, among other properties. In April, Property Development Centers, a wholly owned real estate subsidiary of Safeway Inc., announced it had reached a deal with A&B to purchase the property at the corner of Puunene Avenue and Hookele Street, near the Zippy’s restaurant. PDC said it would, in turn, sell 12 acres to Target, which will serve as the center’s anchor retailer. Chris Benjamin, A&B president and chief operating officer, said that the company spent time “cleaning up and readying” the Kahala properties for sale. As of Thursday, four lots had sold, and the company was evaluating offers or had sales in various stages of contracting, he said. On Maui in the third quarter, A&B sold six units at its 150-unit Kai Malu at Wailea project, with units going for $1 million to $1.4 million, Benjamin said. The company is seeking Maui County regulatory approval for a 70-unit condominium project in Wailea, and it has the ability to do another 75-unit development, if there’s enough market demand, he said. Overall, A&B’s adjusted net income for the third quarter was $5.6 million, or 13 cents per share, compared with adjusted net income of $13.8 million, or 32 cents per share, in the same quarter in 2012, the company said. “Our net income also reflects a $7 million decline in agribusiness operating profit compared with last year’s third quarter, which was anticipated and resulted from one less sugar voyage and lower sugar prices,” Kuriyama said. A&B also completed on Oct. 1 the purchase of the Grace Pacific construction company, which earlier had been announced for a combination of stock and cash valued at $235 million. “We expect (Grace) to be an important generator of earnings and cash for the company,” Kuriyama said in a conference call. “Power and molasses sales margins were also lower in the quarter,” according to the report. The company expects to break even with its agribusiness segment in the second half of this year, generating a loss for the fourth quarter. In the third quarter, Hawaiian Commercial & Sugar Co. produced 64,000 tons of sugar, down 18.2 percent from the 78,200 tons produced in the third quarter of 2012. The company’s tons of sugar sold fell 50.6 percent from 72,400 tons in 2012 to 35,800 tons this year. For the first nine months of the year, the picture’s not as ugly. Tons of sugar produced were down slightly at 0.8 percent to 138,600 tons, while tons of sugar sold dropped 33.4 percent to 72,200. Sugar prices increased modestly in the third quarter, Benjamin said. A&B remained “hopeful” that sugar prices would continue their upward trend, he said.